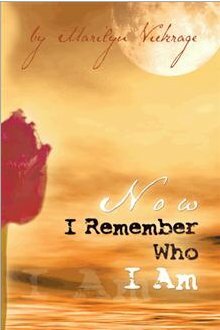 "Now I Remember Who I Am"
In her empowering memoir “Now I Remember Who I Am”, author Marilyn Vickrage chronicles her exceptional life experiences while offering concrete messages for readers that encourage introspection and foster self-growth. Marilyn Vickrage’s new memoir explores balancing physical, spiritual realms in spite of adversity, covering such crucial topics as life’s setbacks, re-establishing self identity, and self worth. Describing her dysfunctional upbringing, former abusive relationships, and past financial struggles, Vickrage exposes her misfortunes to illustrate the various inspirations that eventually followed. She offers practical advice that readers can use to recreate the positive changes in their own lives. Vickrage works as a telephone crisis counselor, who empathizes with, consoles and motivates people who are in their darkest hour. Her goal in writing this inspirational memoir is to promote the importance of balancing spirituality with human experience. “I’m offering people material to read that will be both physical and spiritual in nature, bringing hope and awakening to those in need of stepping up and out of human everyday drama, and motivating strength within themselves to cope with those distressing moments in their lives,” Vickrage says. Motivating and uplifting, Vickrage organizes the collection of personal stories thematically with an inspirational mantra highlighting each chapter. The stories are meant to inspire readers to cultivate a sense of self worth and ground themselves both physically and spiritually. “The theme in my book is all about balancing physical earthly existence, whilst consciously acknowledging and living spiritually,” she says. Through a process of channeling heartfelt messages daily from a higher source, author Marilyn Vickrage's life was transformed. Now, she shares the intimate journey to peace. After experiencing many of life's setbacks, she knew that she had to start changing the world from within. Aligning her human self to her higher self provided the emotional, mental, and spiritual support needed to lift her to a more profound connection and consciousness with divinity. Marilyn awakened the giant within, enabling a flood of beautiful, caring messages to guide her through stormy waters. She used her life experience balanced with inner wisdom to create a personal guidance system, and now she lives a life centred in love, peace, and harmony, every moment of every day. You can know this love, peace, and harmony for yourself. Humanity is plagued with fear, upheaval, and uncertainty, and its easy to feel as if you are on your own. But once you realise that you are far from alone in this world, you can transform your reality. By taking stock of what you have created in your life, you can change your outer world by addressing your inner one through introspection. Marilyn's message is simple yet profound, offering the potential to trigger memories and insights. You already know who you are and what your place is within the divine plan you just need to remember! We each have the ability to awaken others in our sphere of influence, simply by expressing the love we each hold and transmitting it outwardly for all to feel. TO PURCHASE YOUR COPY OF THIS INSPIRING BOOK CLICK HERE. Marilyn Vickrage has discovered through experience and study in metaphysics, philosophy, community leadership, counseling, and angel therapy that the key to connecting with her heart is expressing her creative powers for personal growth and self-healing. She lives in Queensland, Australia. From the moment you commence reading you know Marilyn has written this from pure heart and wisdom. Marilyn shares her experiences allowing the reader to connect on an authentic level which makes a connection between author and reader. Her channelled messages are like communicating directly with an infinite source and ancient knowledge and can be applied in all areas of life. Thank you for shining and allowing us to remember who we are. Please use this Contact Form to contact the author directly.